different from Me Before You, but still a very enjoyable read. I enjoy the historical story running back and forth with the contemporary story of loss and love surrounding a painting. It is very different from Me Before You, but still a very enjoyable read. 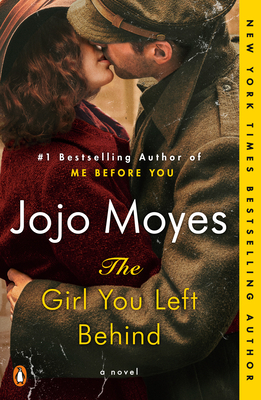 Jojo Moyes is the #1 New York Times bestselling author of After You, Me Before You, One Plus One, The Girl You Left Behind, The Last Letter from Your Lover, Silver Bay, and The Ship of Brides. She lives with her husband and three children in Essex, England. "Jojo Moyes builds on her strengths in this moving and accomplished new novel. As she did in the best-selling Me Before You, she asks readers to think in fresh ways about a morally complex issue. . . . The Girl You Left Behind is strong, provocative, satisfying fiction."